Thinking about a new custom home? As you begin the planning phase, you will want to research the latest in custom home design. From the newest high tech systems to outdoor living spaces, here are some trends that we are seeing in custom home design in the Washington, DC area. 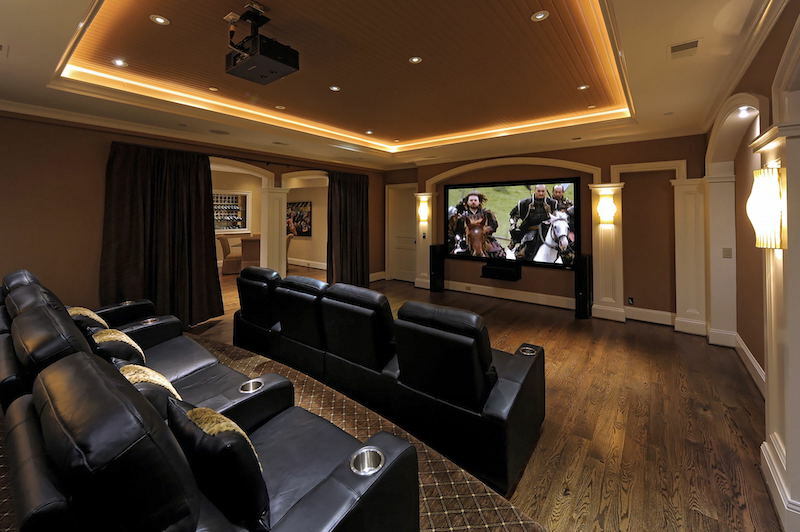 These days, custom home clients expect the latest technology to be incorporated in the design of their new home. Some wiring infrastructure will be necessary, or streaming services may be slow throughout your home without it. However, security systems, lighting, heating & air conditioning and audio/visual systems can now all be controlled from an iPad or Smartphone through a wireless system. And, these wireless systems have become less expensive as the technology has evolved, making home automation much more affordable than you may think. Before construction ever begins, home technology should be factored into your plans. Green home building is now the norm. Energy efficient windows, doors, appliances, heating & air conditioning systems and water heating systems are standard in new homes. Professional builders who are experts in creating custom homes understand how to incorporate a whole-house energy efficient approach from the beginning of the design process. Not only does this approach save you money in the long run, it will create a more comfortable living environment in your home. A significant trend in custom home construction is that smaller homes are more desirable now than the McMansions of years' past. 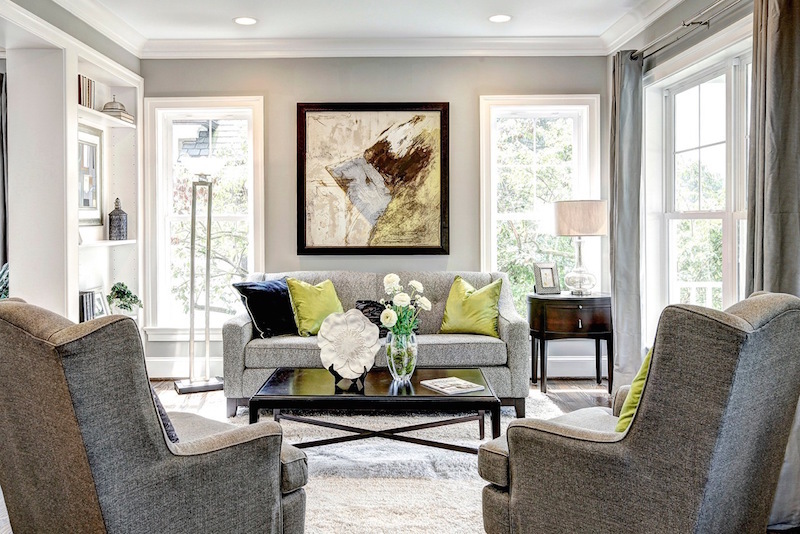 As clients are preparing their home building budgets, they are considering high-end finishes in the home to be more important than more square footage. In addition, homeowners are not only concerned about the cost of building a new home, but are thinking about factors such as heating and cooling costs, home appreciation and taxes on the structure once they are actually living there. Open floor plans are commonplace now. 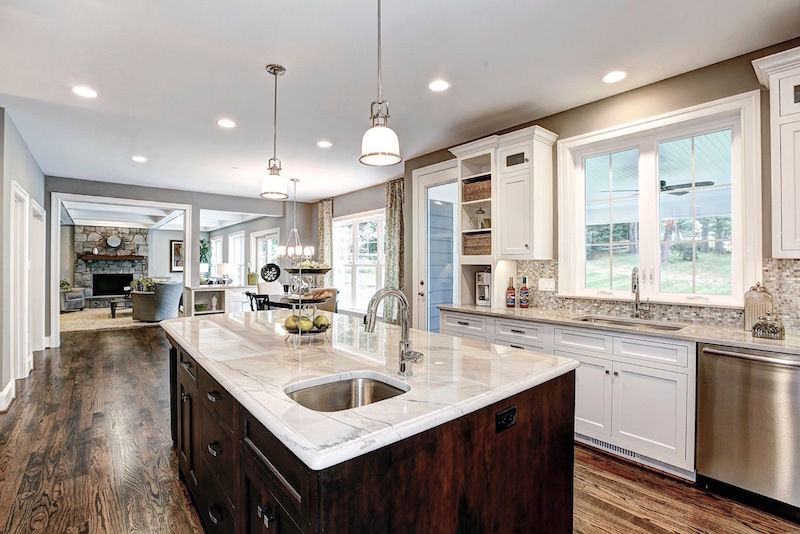 Most homeowners want a "kitchen-breakfast-family-room" type of space. But, what's new is that formal spaces, such as living rooms, are not always part of the plan when designing a new custom home. Dining rooms are also expected to be a thing of the past in the not-so-distant future. While planning your new custom home, think about making your master bath a luxurious retreat. That doesn't mean it must be a huge space - just a lovely retreat where you can escape the pressures of the day. Utilizing interesting materials to make a wall a focal point is a new design trend. 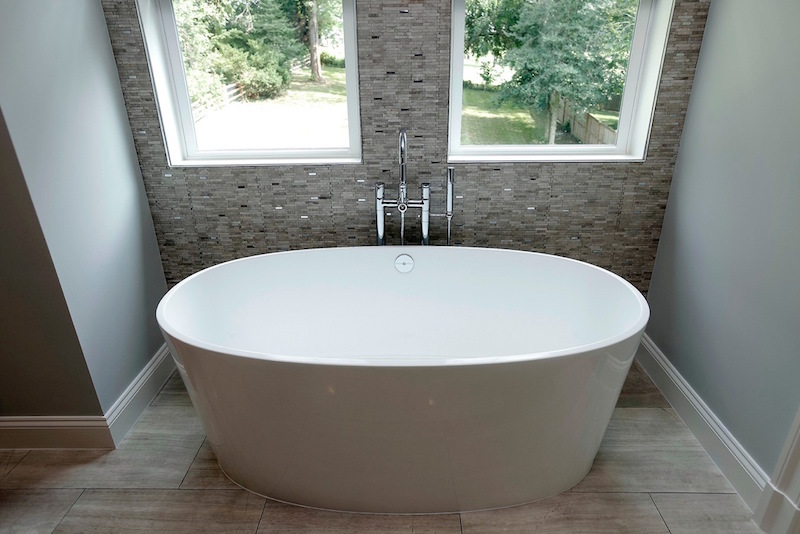 Installing a freestanding soaking tub is another. Whatever you choose, make sure it is a space in which you will feel relaxed. The functionality of your kitchen when designing your new custom home is a huge consideration. Think about how you will use your kitchen. If more than one family member will cook at the same time, you may want to have workstations instead of a traditional layout. If you have the space, a large pantry can be the perfect place for storing and organizing food items and extra cookware. 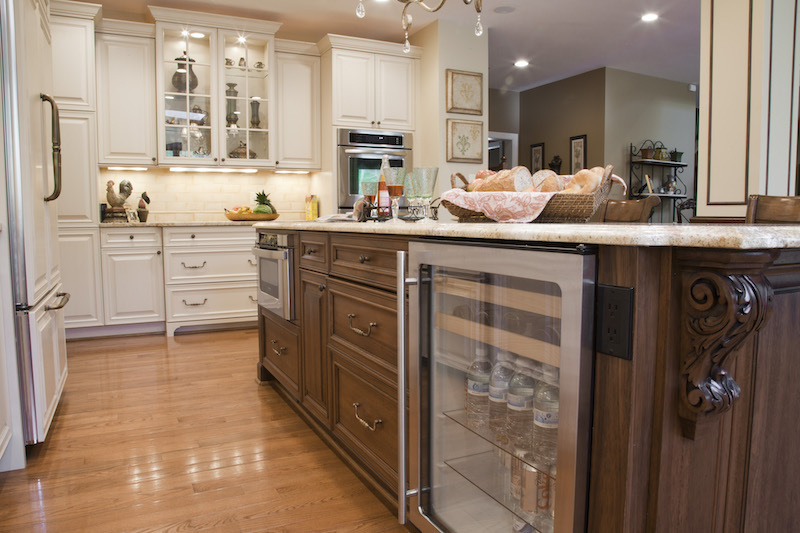 Oversized kitchen islands can house a microwave, beverage center or even an extra dishwasher. Make sure you consult with a professional builder so that no detail is overlooked in the execution of your ideal plan. Transitional colors are in. Look for blue-grays and complementary neutral yellows, along with the traditional whites, beiges and creams, to abound in home design. Also very "in" are metals, such as copper and gold, and metals mixed with natural elements such as wood. Outdoor living spaces are seen as less of a luxury and more of a necessity. Large patios or screened-in porches extend your entertaining space from indoors to the outdoors. 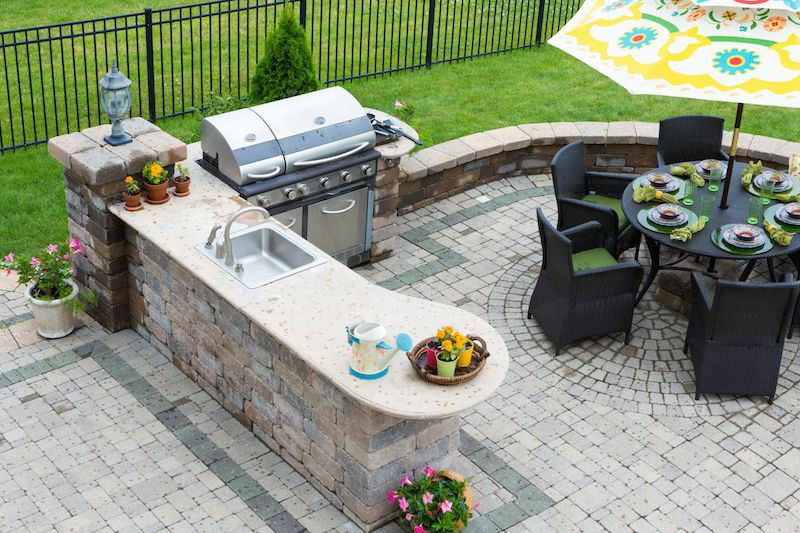 Outdoor kitchen areas with grills, refrigerators and sinks allow you to cook while entertaining guests. And, fireplaces make a cozy gathering area for your family when the weather turns cooler, but you still want to enjoy spending time outside. Planning for your new custom home is exciting! Doing plenty of research up front will ensure that your new home will be exactly what you hoped it would be. Explore various design websites, compile your ideas and share them with your homebuilder. Our Custom Home Guide eBook, entitled Building A House, Creating A Home can also be a useful resource. To download your free copy, click on the icon below.